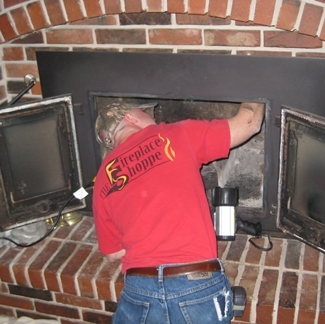 We are pleased to offer many services to keep your fireplace, stove, or insert working efficiently. And it just makes sense that when your heating appliance is working efficiently, then you are saving money. Whether we installed it or someone else did, you can count on The Fireplace Shoppe to service your existing fire appliance. 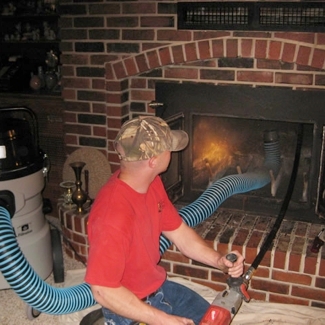 The Fireplace Shoppe is proud to offer the most thorough chimney sweeping in the four-state area. Our professionally trained chimney sweeps will make sure that your chimney is cleaned completely. What does it matter if your chimney is dirty? First and foremost, a dirty chimney is a fire hazard. The dangerous, and highly flammable creosote that builds up in a solid fuel burning appliance is the cause of all chimney fires. Another advantage of having your chimney swept is that a dirty chimney creates sooty odors inside your house. The bottom line – a clean chimney is a safe chimney. 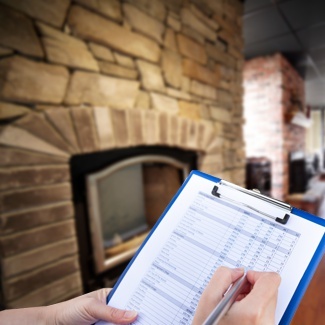 When you are buying, or selling a house, a fireplace and chimney inspection is a vital part of the process. You want to ensure that you have all of the information that you need to make an informed decision. We offer Level 1, Level 2, or Level 3 inspections for home owners and realtors to ensure that your current or future fireplace is safe, and ready for use. With over 25 years of combined experience is all types of wood, gas, and pellet appliances, our service techs are sure to be able to solve your hearth needs. And with our attention to detail, cleanliness, and courteous attitudes, you can be satisfied that your home will be as clean and orderly as we found it. Choose one of our maintenance packages, and be ready for the winter burn season! Gas Units: Clean out bugs – Clean glass doors – Replace burning embers – Check gas pressure, electronic system, and draft quality. Pellet Units: Clean pellet vent – Clean heat exchangers – Check igniter – Clean all ashes from interior of stove. Choose our annual/semi-annual maintenance and take the worry out of your heating appliance. We will contact you to schedule a convenient time to have your appliance serviced. 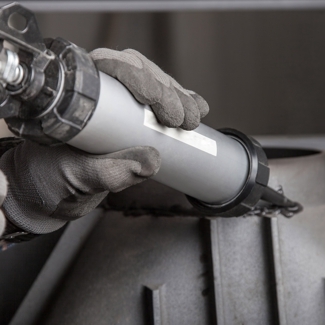 Have your servicing done outside the burning season so that you will be ready for winter. Also, when you have your servicing done out of season, you will have first priority during the busy winter months, should your appliance need replacement parts, or additional servicing. Is your wood stove or wood insert in need of glass replacement? Here at The Fireplace Shoppe we can cut any size piece of glass for your wood stove or insert, so you can rest easy knowing it will be safe to burn in. With our high temp pyroceramic glass, you will get the same as the Manufacturers are currently using. DON’T WAIT, call us today!!! Call The Fireplace Shoppe today to schedule your service appointment!